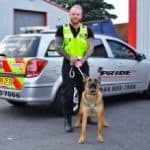 Pride GB Security Services provides Cannock and the West Midlands with exceptional security services including security dogs, static security guards, mobile security patrol, and keyholding & alarm response. We are equipped to secure a range of premises from vehicle storage to industrial estates to building sites to warehouses. We are one of the few security companies accredited to provide security dog services. 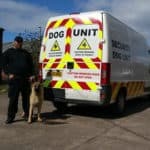 Our expert NASDU approved dogs and handlers are extremely effective at preventing theft and vandalism in Cannock and always deliver a professional high-quality service. Pride GB offers highly skilled, fully licensed, formidable, dependable static security officers who can undertake any assignment at any time. Our service is tailored to suit your needs and our high security standards are guaranteed at all times. Pride GB has an excellent reputation providing keyholding and alarm response services. In the event of alarm activation, we provide 24/7 rapid response to attend your site and take action to deal with any incidents in order to protect your property. 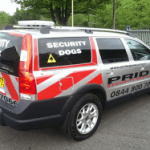 Contact Pride GB Security Services today to find out more about our security services in Cannock and secure your premises.